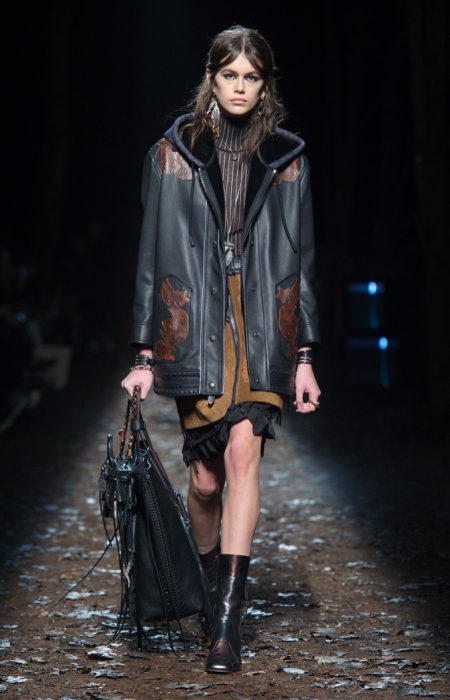 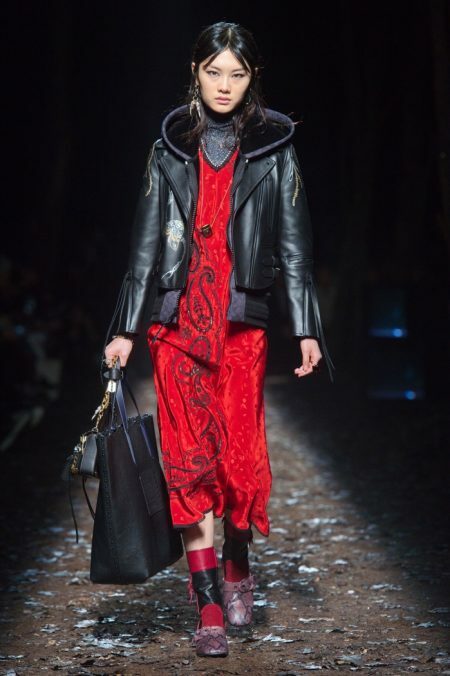 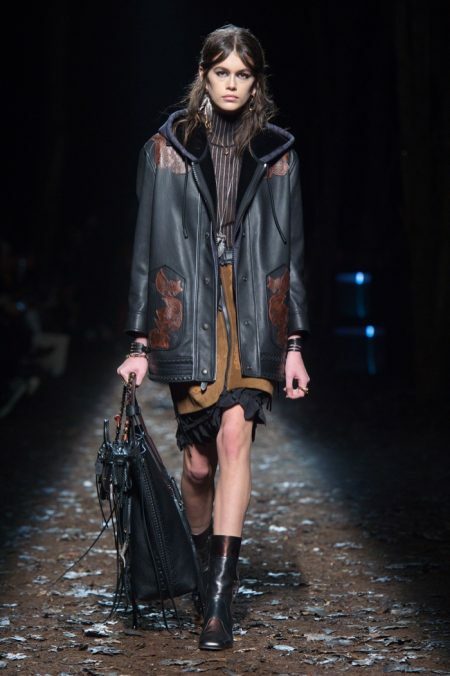 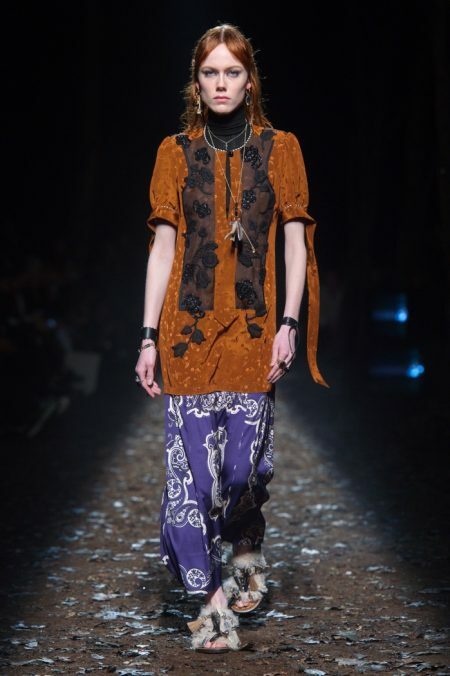 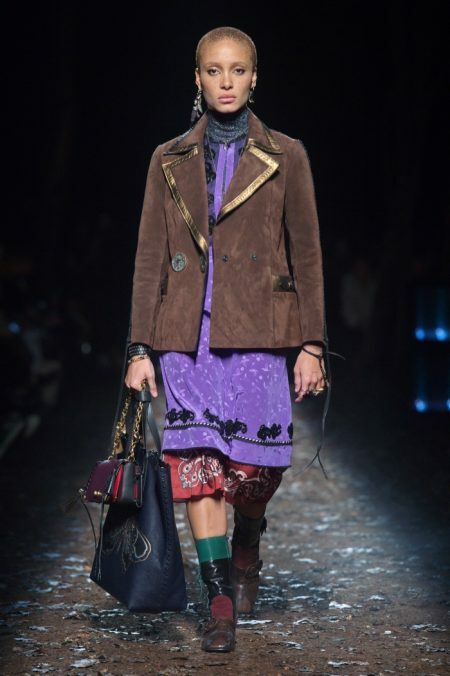 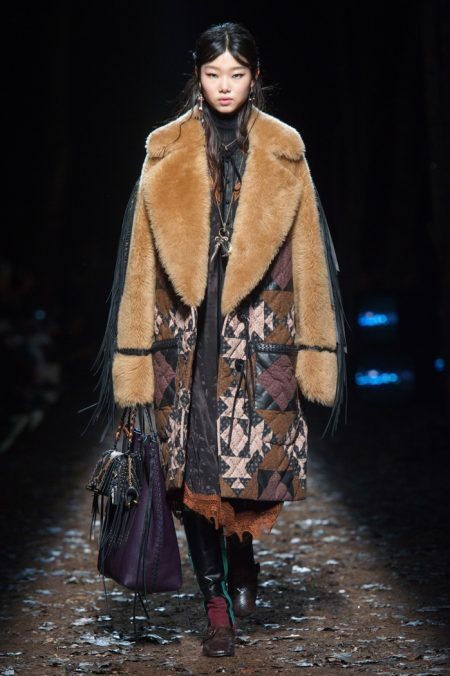 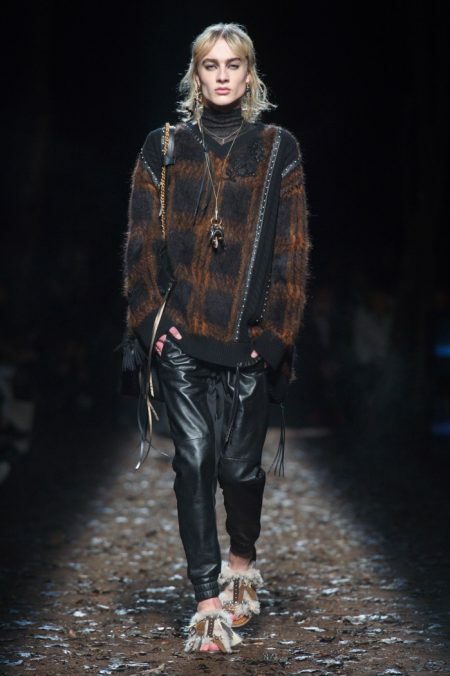 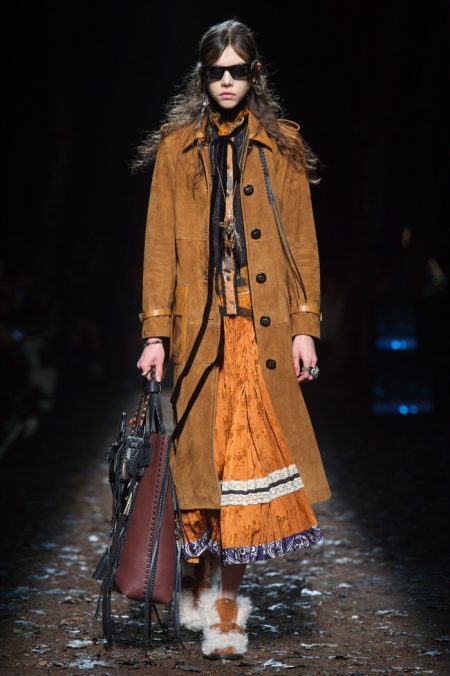 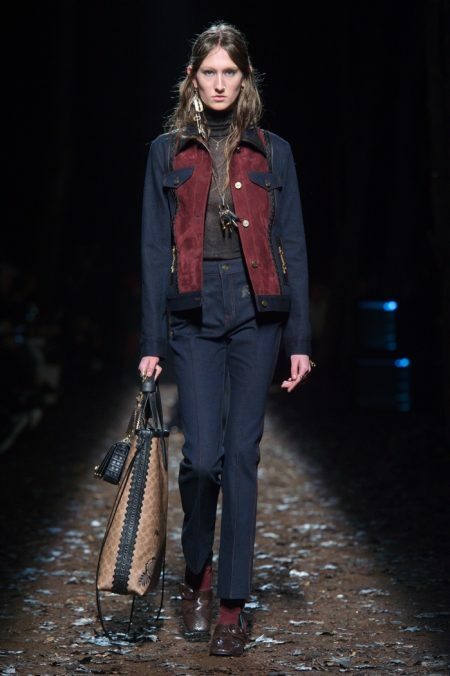 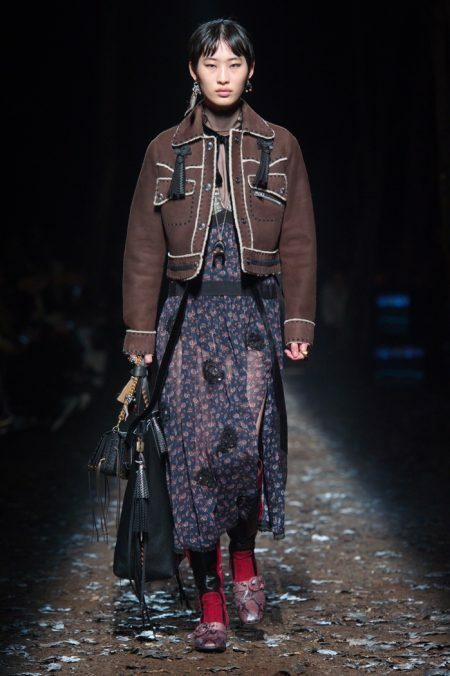 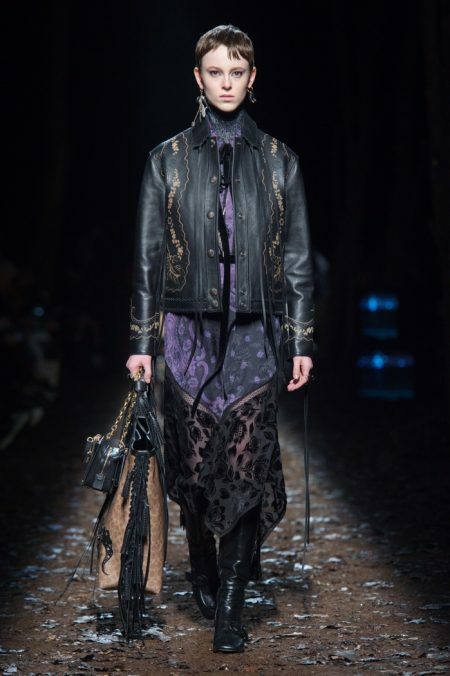 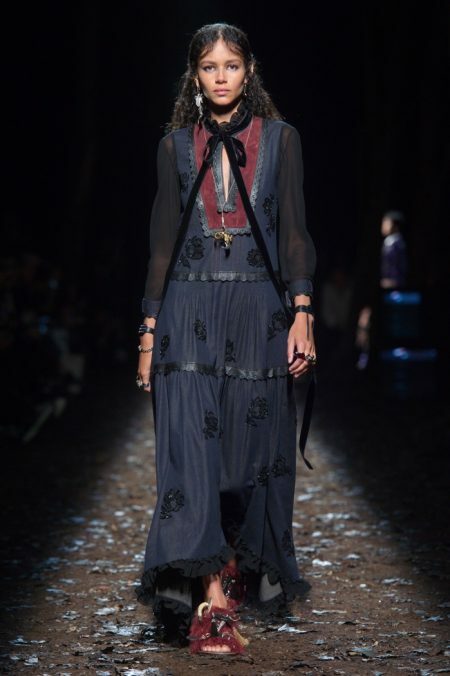 For Coach’s fall-winter 2018 collection, creative director Stuart Vevers looked to the American southwest and gothic style for inspiration. 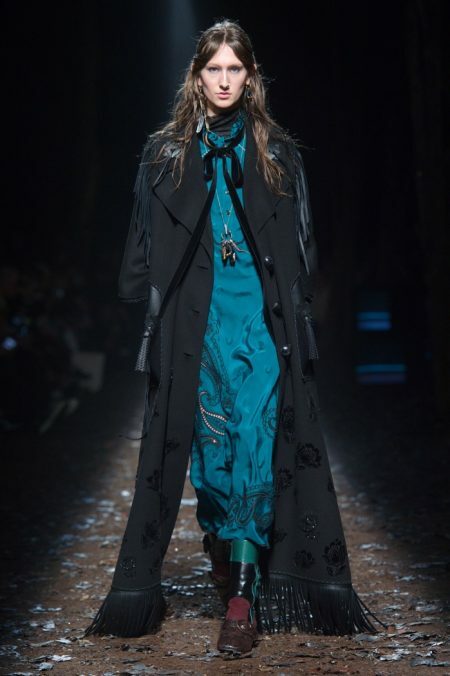 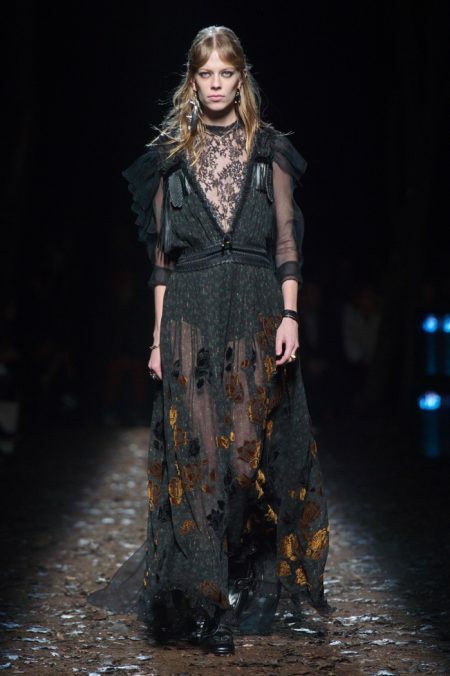 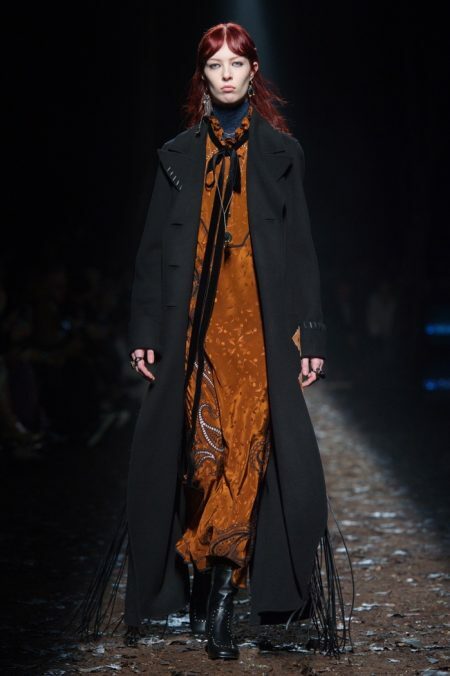 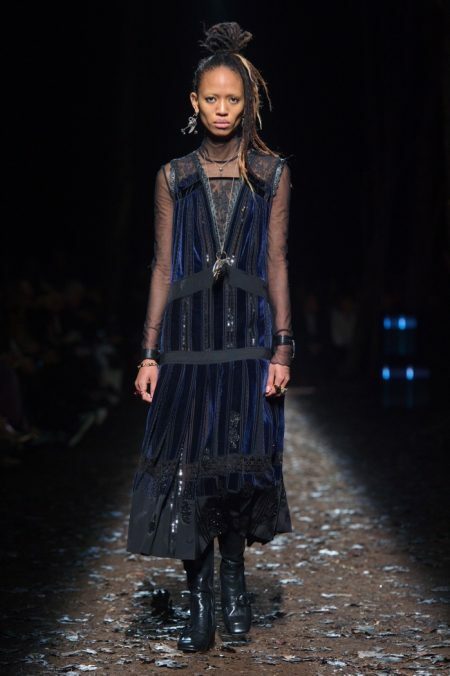 Long, sweeping dresses paired with dramatic coats made a statement on the runway. 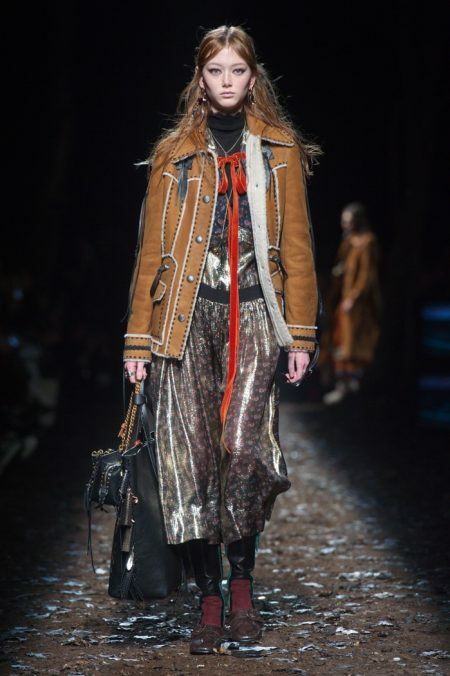 Autumnal hues of orange, grey, brown and burgundy were embraced for the new season. 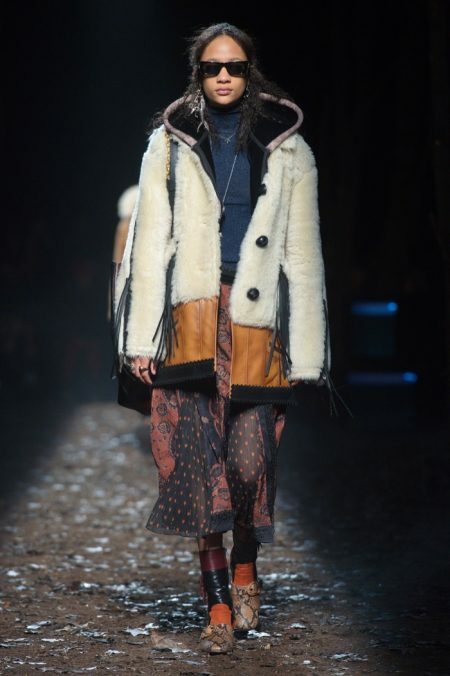 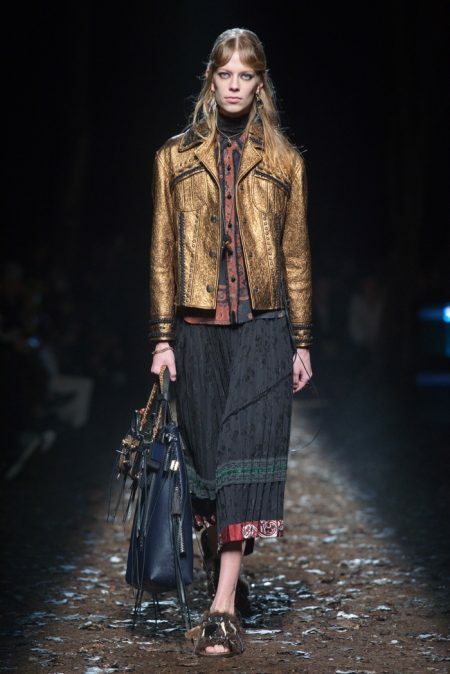 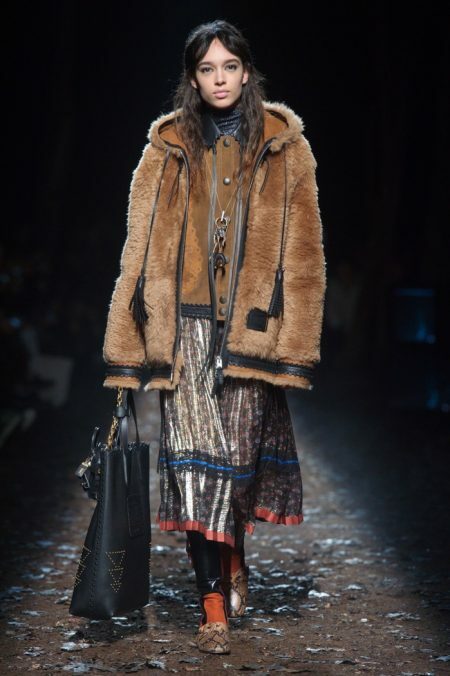 Layering became key with long-sleeved blouses, faux fur jackets and textured skirts. 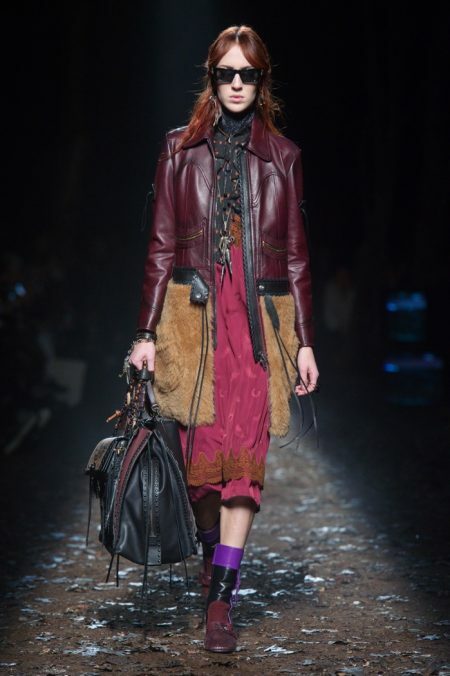 For accessories, Vevers introduced the Dreamer bag which is a three-compartment satchel with three bag charms. 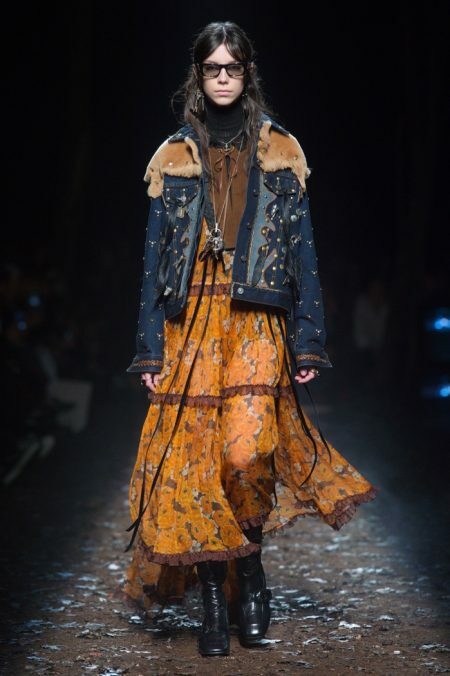 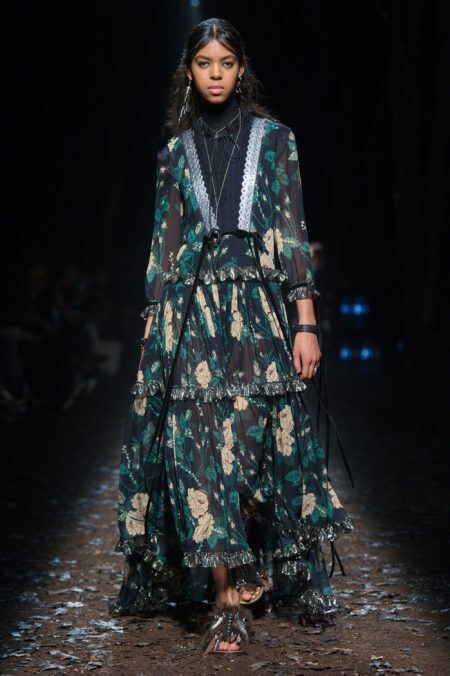 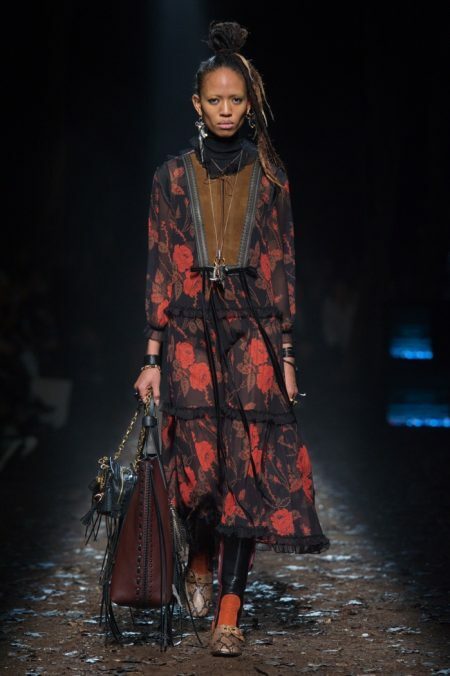 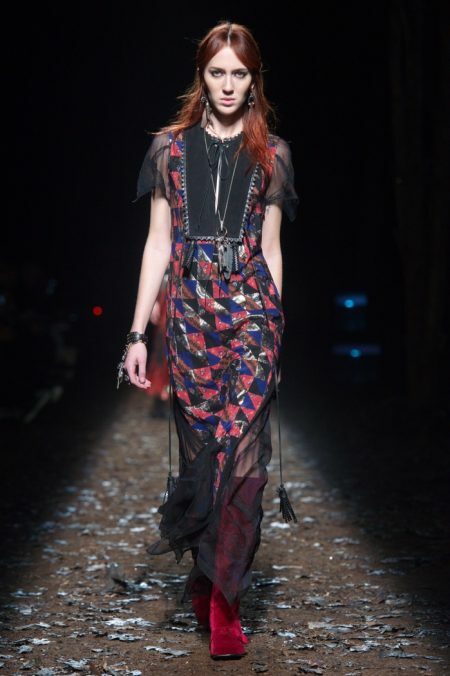 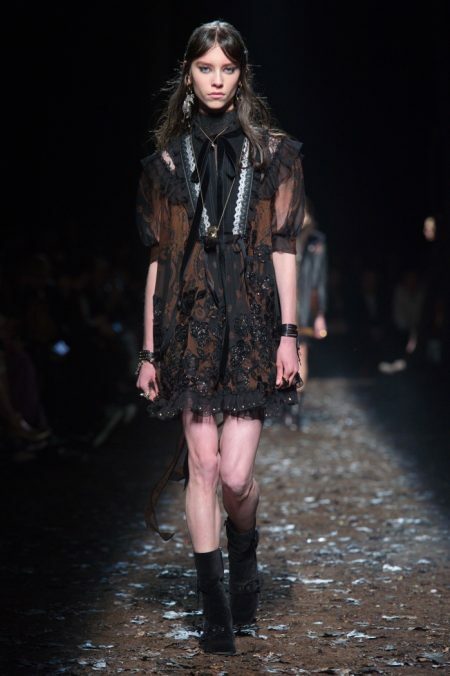 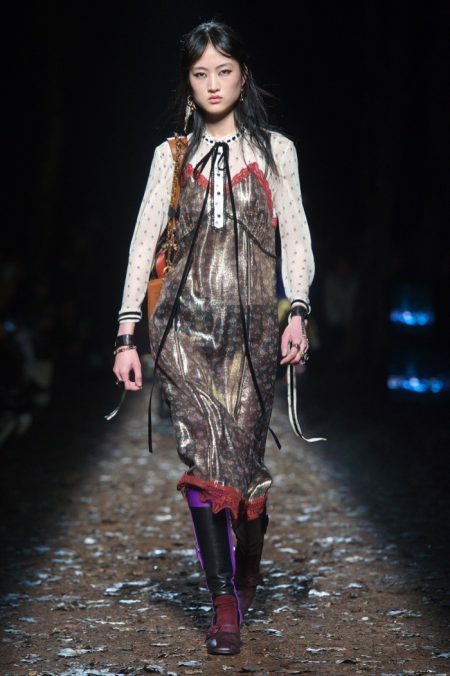 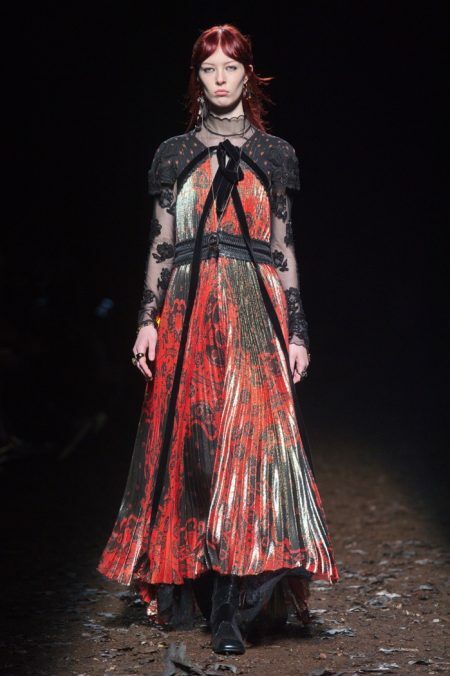 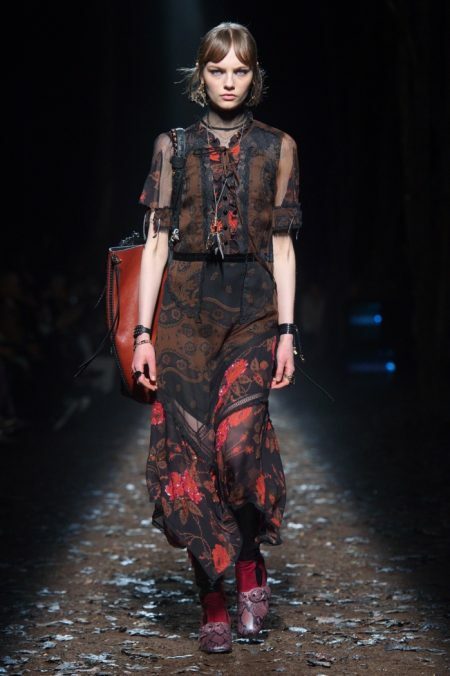 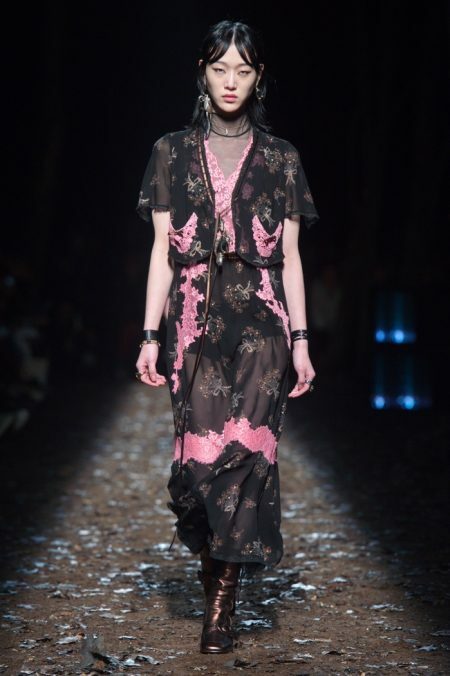 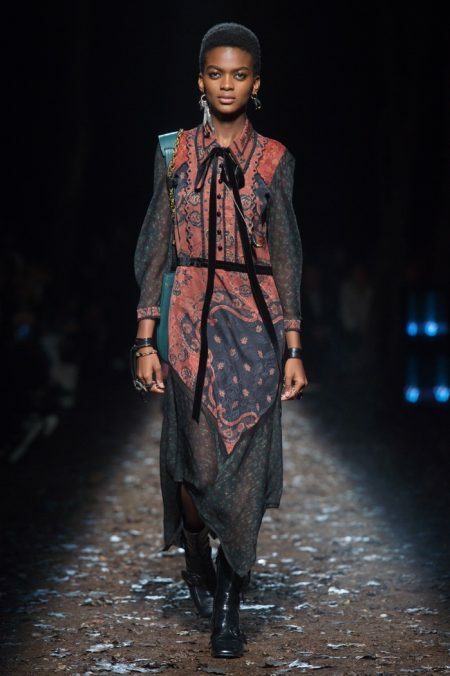 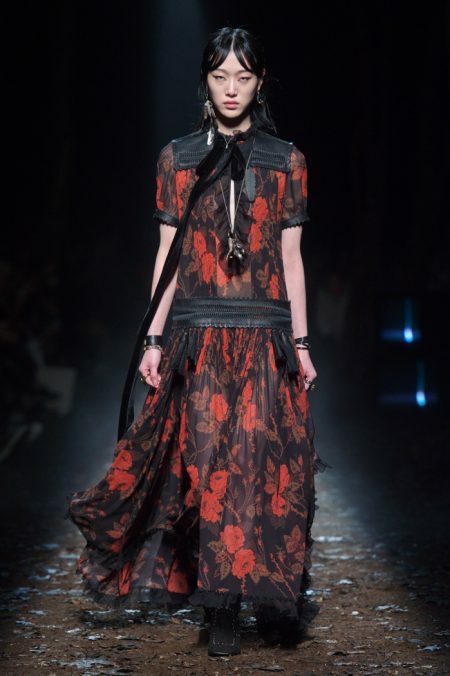 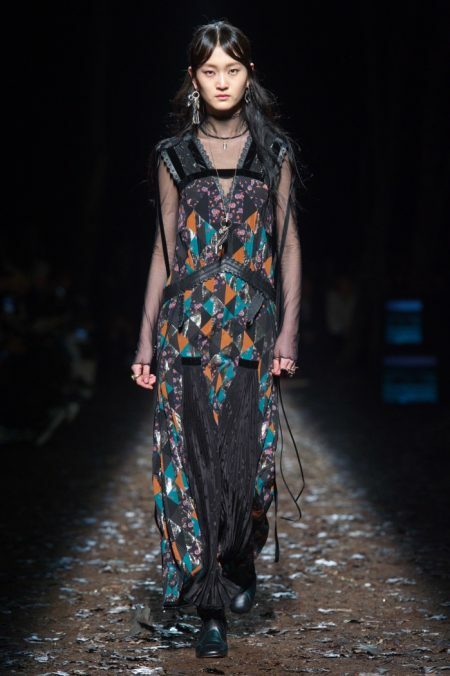 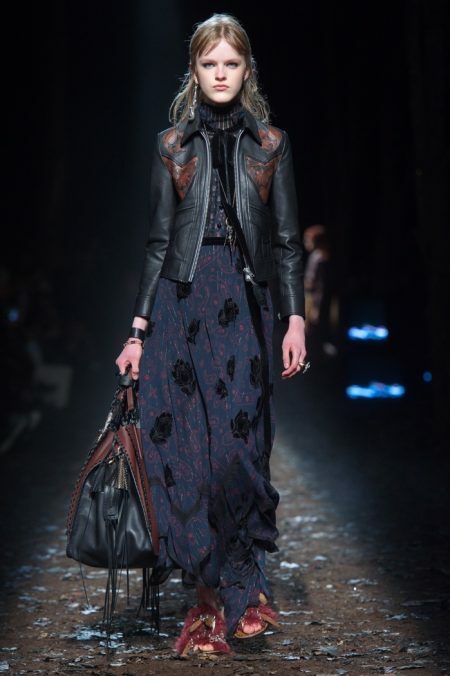 Closing out the show, the Coach woman wore patchwork style prints embroidered on dreamy gowns. 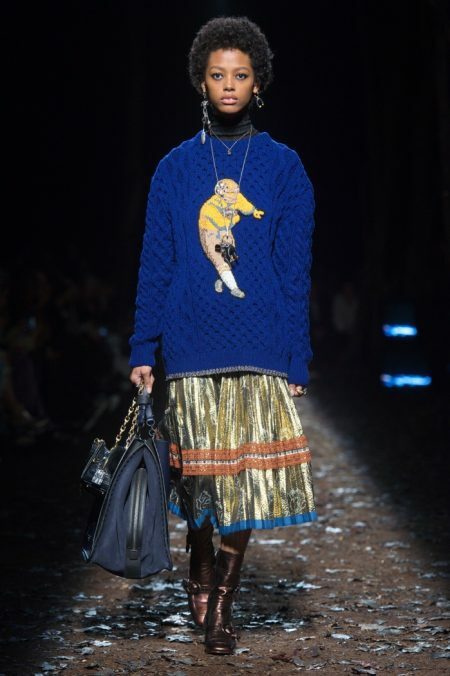 In attendance for the show were Selena Gomez, Sasha Lane, Petra Collins, Winnie Harlow and others.